Emma studied Art alongside English Literature at the University of York St John. Graduating with a First Class Honours degree and the University’s Humanities Prize, she was awarded a British Academy Scholarship to undertake an interdisciplinary MA by Research in English with History of Art at the University of York. Her interest in literature complements the poetic nature of her painting. 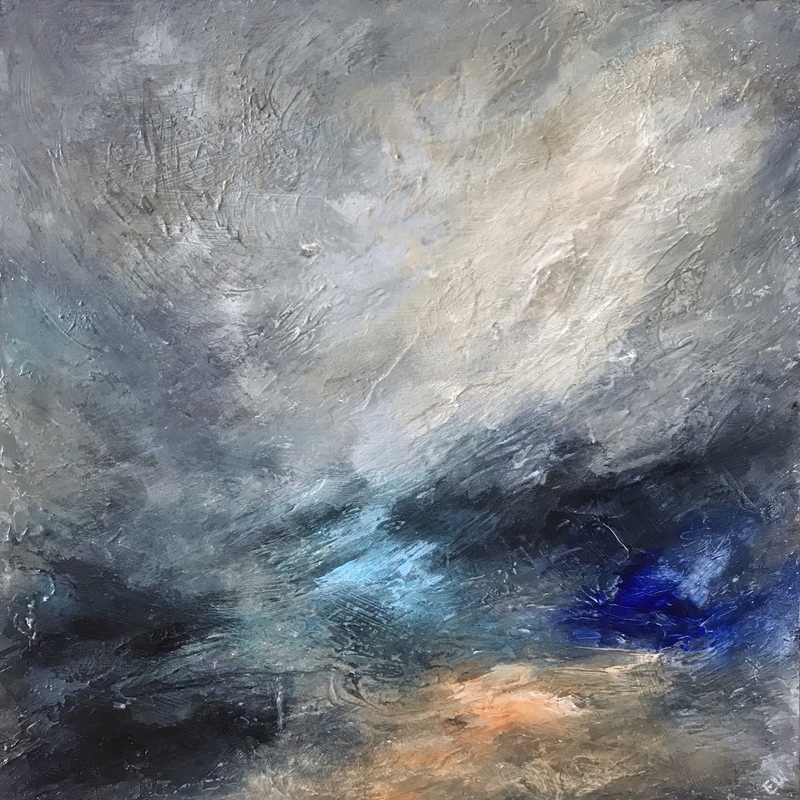 Depicting evocative land and seascapes, Emma’s work often incorporates a lone female figure. 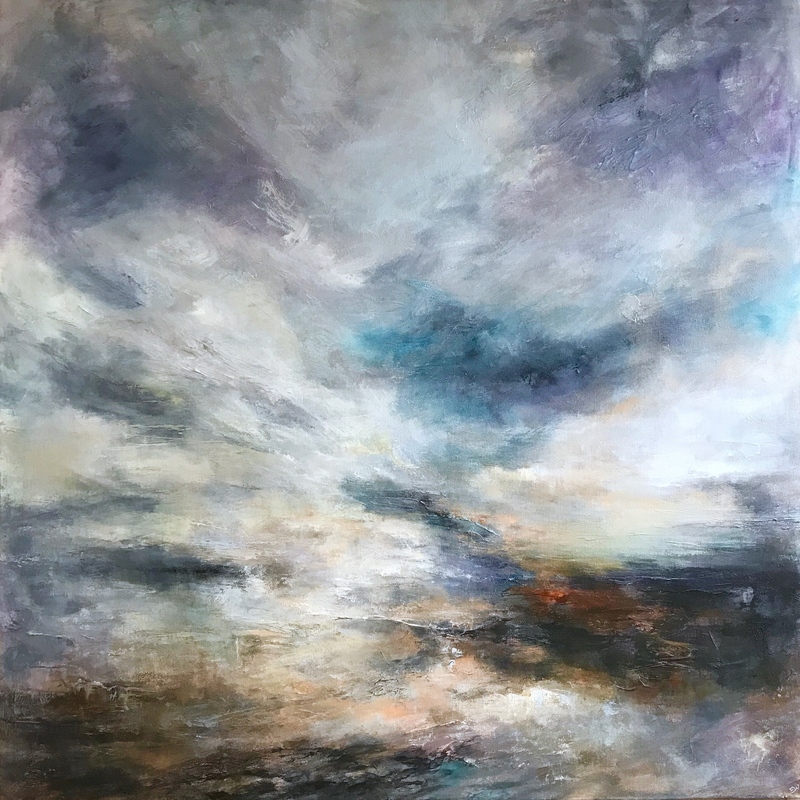 Frequently taking inspiration from her native Yorkshire, she seeks to portray an emotional connection, the expansiveness of nature acting as a foil to human concerns with memory and solitude. 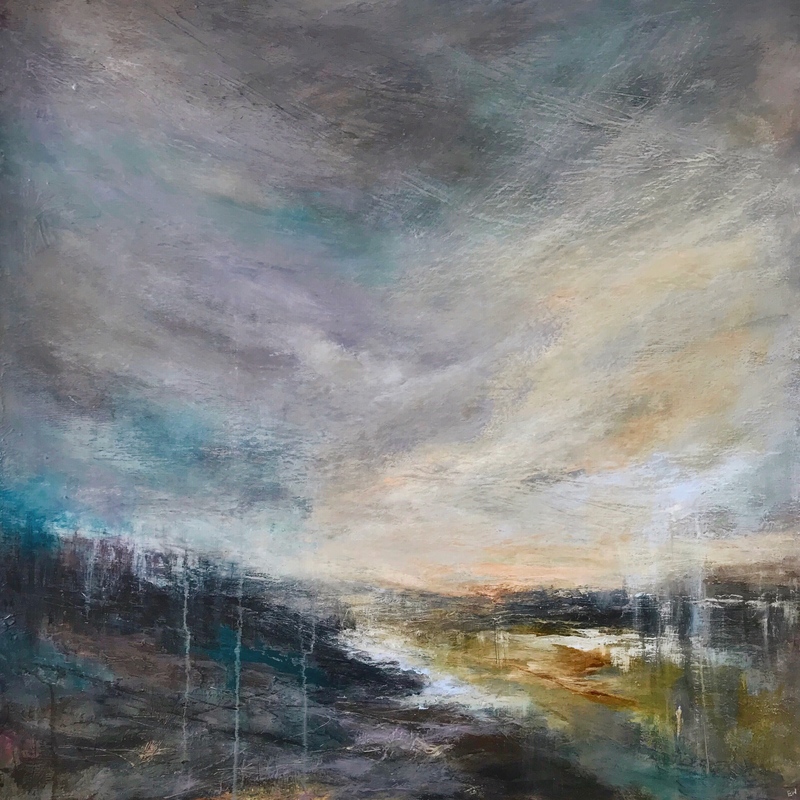 Emma’s expressive style mixes loose mark-making with a keen interest in composition, pathways and horizon lines creating visual journeys. Her use of colour is both dramatic and ethereal, often giving the works the feel of being poised on the borderline between day and night. 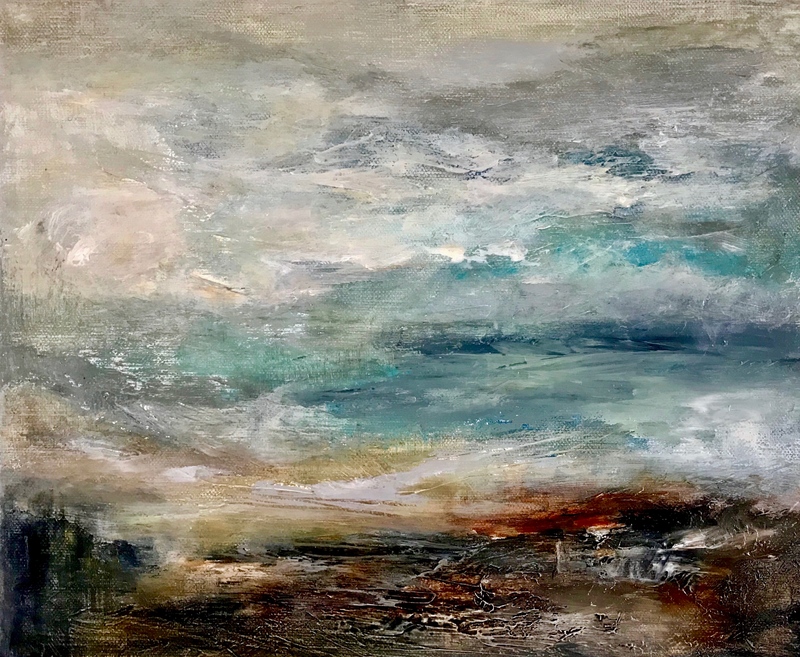 Of her process, Emma explains “Texture is integral to my work and I enjoy freely evolving this through the layering of materials. 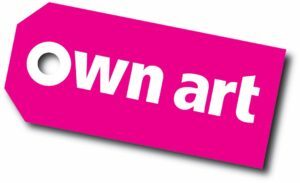 I paint primarily in acrylic, but combine this with a variety of other media such as heavy gesso, acrylic mediums, inks and glazes. 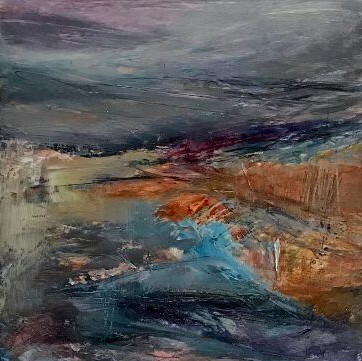 I enjoy the process of developing areas as they emerge, rubbing back and building up, scratching into the surface and working with a variety of implements to create diversity in my mark-making.” Her combination of landscape, figure and mood created through mixed media techniques can be seen as a contemporary interpretation of Romanticism. The totem-like figures are as timeless as the land, sea and sky, merging the inner with the outer world. 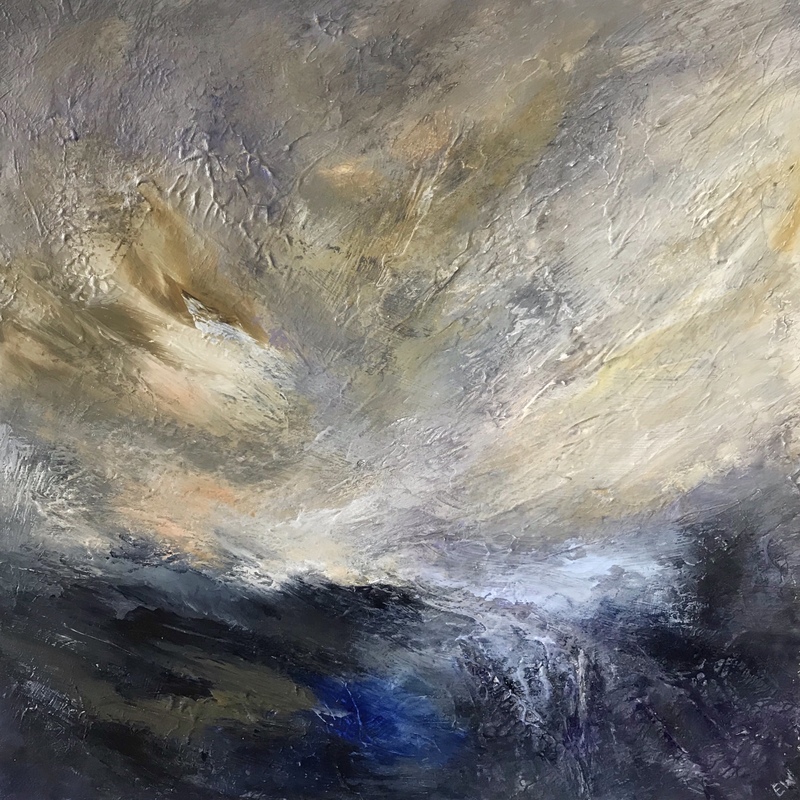 Emma works from her studio in York and exhibits regularly in galleries, and art events such as York Open Studios and the ‘Art&’ Contemporary Art Fair. She has a growing number of collectors in the region, as well as in London.